What Louisa Loves: Pretty Stamps! I am crazy about vintage stamps! 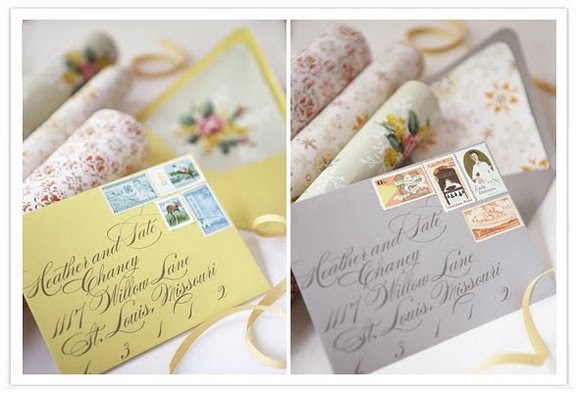 They add a personal touch to every invitation and allow you to mix and match to fit your theme and/or personality. 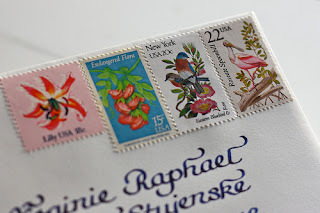 I love the flowers and birds and cannot wait to use them on our wedding invites! If you're thinking about using them for your save the dates/shower invites/wedding invites, there are a few things you need to know. Many of these stamps have low values so you will need a lot of them to add up to the standard 44 cent postage fees today. 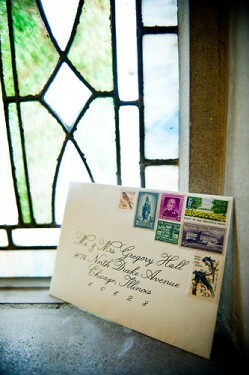 Also keep in mind that some larger invites or odd sized envelopes cost up to 59 cents to mail. 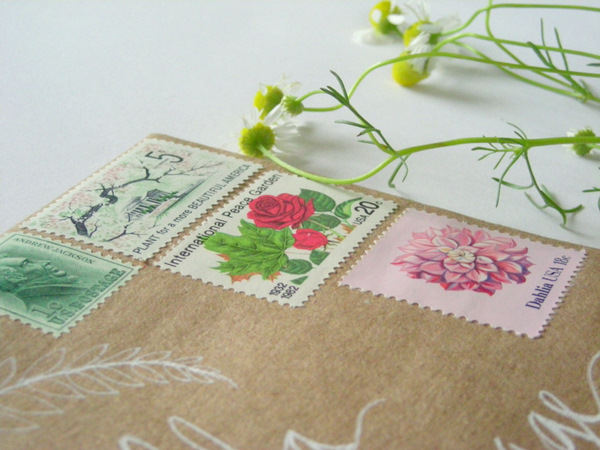 Additionally, you will need to find stamps that are unused (have not been cancelled) and make sure they are US stamps. Always buy from a reputable seller and read reviews if you're using Ebay or Etsy. Okay, so where exactly can you find them??? Well, they are not too hard to come by. You can search google.com for a local stamp shop, most of which will sell vintage stamps at face value (find the stamps that are cute and old yet have no value to collectors). If you'd rather buy them online, check out VerdeStudio on Etsy. They have 100% feedback and a large selection. They will even create a custom collection for you if you tell them your theme/colors. Be prepared to pay a tiny bit more though. Another option? Shop at Kenmore Stamp Company. Share your thoughts! Are you using vintage stamps on your invitations? So cute. That might be one more thing I have to add to my To Do list!